The current auction is exceptional on several levels given the nature of the lots up for sale. In addition to an outstanding selection of Bordeaux and Burgundy wines (2,500 lots), there are also excellent bottles from various regions of France: Gangloff, Jamet, Clos Rougeard, Dagueneau, Coulée de Serrant, Zind-Humbrecht, Bollinger, Salon, to name but a few. As ever, you will find many gems which are ready to drink at unbeatable prices. It is a celebration of the diversity of French vineyards. On this occasion we are not offering one region by region selection in this article, but two. 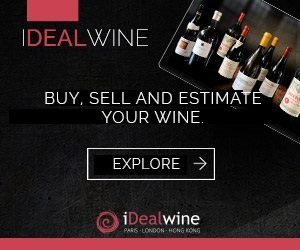 The first selection is a series of attractively-priced bargains and the second looks at some of the plentiful cult wines in this sale. Take a look at our guide. In the Bordeaux region, we begin on the Right Bank with the excellent Fontenil, Michel Rolland’s 1999 Fronsac wine (estimated at €20). We then move onto Saint-Émilion with Pavie-Macquin 1983 and Figeac 1980, and Château Gazin 1985 and La Conseillante 1980 (both estimated at under €50) from Pomerol. On the Left Bank there are five vintages of the “most sensual” Bordeaux according to Robert Parker, namely Château Haut-Marbuzet, from 1975 to 2012 (from €25 to €45). In the crus classés range, we opt for Talbot 2004 (€40) and Branaire-Ducru 2001 from Saint-Julien, Fieuzal 1985 from Pessac-Léognan, and Cantenac-Brown 1998 from Margaux (€30). In Burgundy, the best wine growers’ cuvées villages are a good yardstick for assessing the skills of those who produce them, at prices which are still affordable. From Côte de Nuits, for example, try the Nuits-Saint-Georges 2005 from Méo-Camuzet (estimated at €35), the Gevrey-Chambertin by Domaine Trapet 2008 (€35) and also the excellent red Burgundy by Claude Dugat. In the Côte de Beaune, we recommend the Savigny-les-Beaune 1er cru Les Dominodes by Bruno Clair in the 2006 vintage (€30), or the Corton Pougets 2006 by Louis Jadot (€40). Lastly in the Macôn area, don’t miss out on cuvées from the excellent Domaine Guffens-Heynen and the Mâcon-Pierreclos Le Chavigne 2009 and Tri de Chavigne 2011 (approximately €40). It goes without saying that stocks of wines on offer in the special Mâcon sale (for immediate purchase) are running very low. In other regions, snap up 2014 wines from the Rhône hills by Jamet (€15) and Vouvrays from the Domaine Huet, especially the Le Mont 2009 (€30). In the Jura, keep an eye on the yellow wines from the Domaine Tissot in ready-to-drink vintages from the 80s and 90s. In the Loire region, we love the Clos de la Dioterie by Charles Joguet in Chinon in the 2005 vintage (€3). Lastly, the 2005 Châteauneuf-du-Pâpe from the Domaine Tardieu-Laurent (estimated at €35) is definitely worth a serious look. Turning now to cult wines, you will not be surprised to hear that all the Bordeaux wines are represented: five premiers crus from 1855, of course (Haut-Brion, Latour, Lafite-Rothschild, Mouton-Rothschild and Margaux), Yquem in 13 vintages, the best Saint-Émilions (Cheval-Blanc, Ausone, Pavie, Angélus), and also Petrus. Among these outstanding bottles you will find some legendary vintages: 1949 for La Mission Haut-Brion 1949 and Latour, 1989 for Haut Brion (100 points scored by Parker), 1990 for Cheval-Blanc and Margaux (100 points from Parker) and more recently 2009 and 2010 Petrus (also scoring 100 points). In Burgundy, the selection will also leave you speechless. We begin our review in Chablis with the fine Valmur de Raveneau cru from 2008 (€200), and wines by the other local expert Vincent Dauvissat with his Les Clos and Les Preuses climats in 2012, 2013 and 2014 vintages (€100-150). In Côte de Nuits, we open in Gevrey with the Ruchottes-Chambertin Clos des Ruchottes from Armand Rousseau in 2007, followed by the excellent Clos-de-Vougeot from the Domaine de la Vougeraie in a 2007 vintage. In Morey-Saint-Denis, we are torn between the 2006 Clos-de-la-Roche from the Domaine Dujac, the Clos-des-Lambrays 2005, or perhaps the Clos-de-Tart 1999. Lastly, let’s take a look at Vosne: Romanée-Conti 1986 and 1962, Richebourg 1955 by Leroy and Richebourg 1985 from Henri Jayer, no less! In the Côte de Beaune, we would highlight the 2001 Meursault 1er cru Goutte d’Or from the Domaine d’Auvenay, the Chevalier Montrachet from the Domaine Leflaive in 1992 (a reference vintage for white Burgundies) and also the Montrachet 1979 by André Ramonet. In the Rhône Valley, we shall be keeping a very close eye on a lot of 2 Côte-Rôtie Côte-Brune from the Domaine Marius Gentaz-Dervieux in 1989. 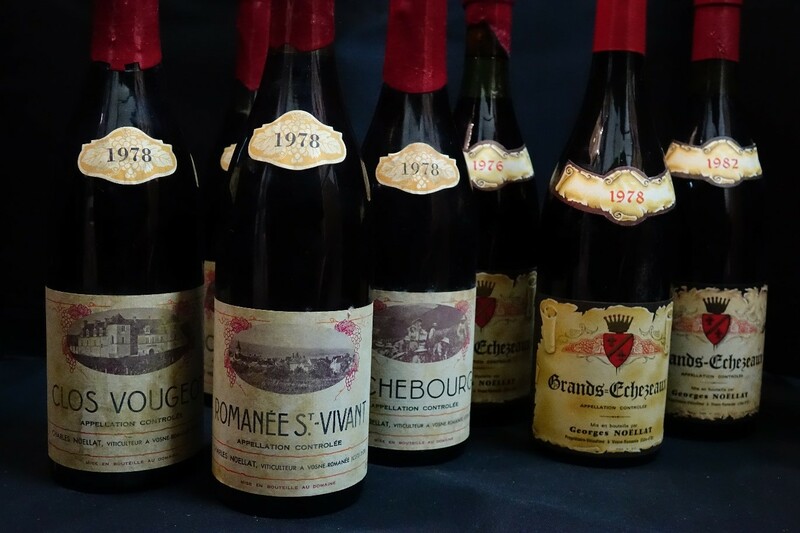 When it closed, most of the plots were taken over by the Gonon domaine and these exceptionally high-quality wines have become real collector’s items. Just two years ago, a similar lot went under the hammer for €1,651. Still in Côte-Rôtie, Côtes Brunes from 2011, 2012 and 2013 from the Domaine Jamet should fly. This is to be expected as these wines were produced in such small quantities that they are almost impossible to track down. The same goes for wines from Domaine Gangloff (La Sereine Noire 2009). In the Hermitage area, all eyes will be on the 2003 by Jean-Louis Chave, which received critical acclaim. In the southern Rhône Valley, wines by Emmanuel Reynaud, and not just those from Rayas, are represented: Domaine and Château des Tours, Fonsalette, and also Rayas, of course, in 2009. In Châteauneuf three special cuvées are worthy of our attention: the 1998 Hommage à Jacques Perrin from Beaucastel (100 points scored by Parker), the Réserve des Célestins by Henri Bonneau in 2004 and the Cuvée Da Capo from the Domaine de Pegaü in 2007 (which also earned 100 points from Parker). There is also a very fine selection from the Champagne region: S de Salon 1985 and 1999, Substance de Selosse, Egly-Ouriet Blanc de Noirs Les Crayères Vielles vignes. However, the true star is Bollinger, with the fine year 1996 and RD 1996, and most especially the champagne house’s Franc-de-Pied cuvée in Blanc de Noirs 2000, dubbed Vieilles vignes françaises. In the Loire, all the main names are represented: in Saumur-Champigny there is Le Clos Rougeard with its three cuvées of red (le Clos, Les Poyeux, Le Bourg), in Pouilly-Fumé we would mention Dagueneau with Silex in 1999 and 2012, in Sancerre we have Edmond Vatan and his Clos de la Néore in 2013, and François Cotat’s Les Monts Damnés 2010. Lastly, in Savennières you will find La Coulée de Serrant by Nicolas Joly in 1985, 1995 and 2009. 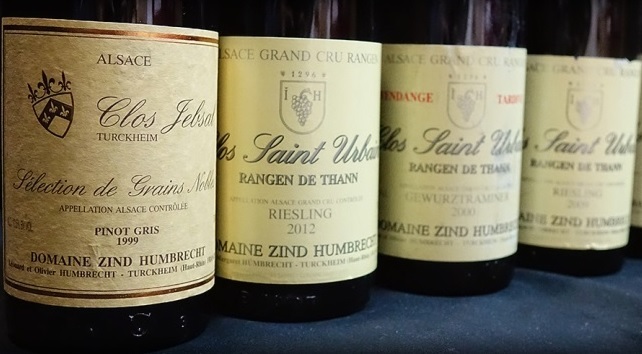 In Alsace, there is a special focus on the Domaine Zind-Humbrecht with its superb cuvée Clos Saint Urbain in 1995, 1999, 2000, 2002, 2009 and 2012 vintages. Take a look too at the Pinot Gris Clos Jebsal 1999 in its “Sélection de grains nobles” iteration. If you prefer Riesling, you are sure to find what you are looking for with the cuvées Frédéric Emile 2007 and Clos Saint Hune 1996 from the Trimbach winery. Looking at other regions, in the Languedoc we would like to give a mention to the impressive collection of vintages from La Grange des Pères: 2006, 2007, 2010, 2011, 2012 and 2013. Lastly, approximately one hundred lots from beyond French borders will be up for auction including Vega Sicilia in 1999 and 2000. Happy bidding! You have until 26 October to take the plunge! 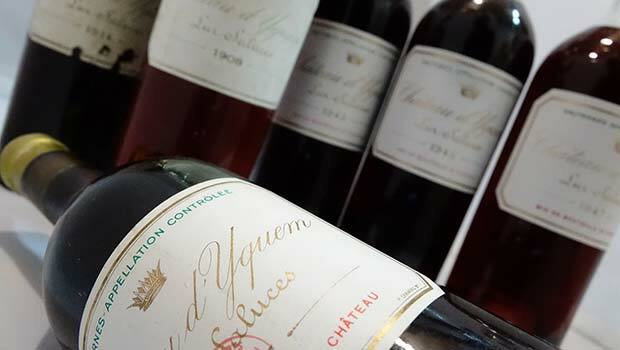 Auction Report: Top Sauternes are back!